Fluid visualization during dynamic fluid flow using linear X-ray scanner. "GCC Crude Pipeline Study," Final Report, KFUPM Research Institute (Div. I), Co-Investigator , (April 1985). The project was selected for the 1987 Award of Governor of Eastern Province for Applied Research. "Surfactant/Polymer Flooding of Saudi Limestone Oil Reservoirs," KACST Project AR/6/161, Principal Investigator, 36 months project, Budget: SR 1,314,600. "Rock Wettability and Restoration for Core Analysis and Effect on Oil Recovery", Research Institute Project # 21109 (Sept. 1992-August 1994) , sponsored by Saudi Aramco, Task Leader. This project was rated as the best research project among other projects conducted at the RI-KFUPM. "Development of a program to construct cross-sectional model between two wells based on fractal theory." RI Project # 21129, sponsored by Saudi Aramco, Co-investigator, Sept. 1994 - Aug. 1997. Effect of Condensate Dropout on the Productivity of Hawiyah Gas Condensate Wells." RI Proj. No. 21159, sponsored by Saudi Aramco, Project Manager, May 1, 1997 – June 30,2004. (One –year project). Project Manager. 1. Abdulrauf Rasheed Adebayo, An Experimental Study of the Effect of Super Critical CO2 on Petrophysical and Electrical Properties of Carbonate Rocks During CO2 Sequestration, PhD Dissertation, Committee Member, Dec. 2014. Al-Khalifah, A.J., "Two Phase Pulse Testing," January 1985, KFUPM. Al-Mumen, A., "The Effect of Salinity on Oil Recovery," 1990, KFUPM. Kissami, M., "The Effect of Multiple Fractures on the Performance of Gas Wells," 1990, KFUPM. O. E. Vincent, "Design of an Alkaline/Surfactant/Polymer Enhanced Oil Recovery Scheme for a Saudi Arabian Limestone Reservoir. ", 1994, KFUPM. Olalekan K. Fawumi, "Effect of Condensate Drop-out on the Productivity of a Rich Gas Condensate Reservoir," Advisor, M.S. Thesis Committee, Pet. Eng. Dept., KFUPM,December 1999. Syed Shariq Ali Hashmi, “Effect of Hydraulic Fracture on the Performance of a Layered Gas Condensate Reservoir,” Advisor, M.S. Thesis Committee. Pet. Eng. Dept., KFUPM, Feb. 2000. Awotende, A.A, "Interference Testing Using Horizontal Wells of Unequal Lengths in Anisotropic Reservoirs," Advisor, M.S. Thesis Committee, Pet. Eng. Dept., KFUPM, June 2006. Ayed Abu Faizal, "Interference Testing with Horizontal Wells in Layered Reservoir,"Advisor, M. S. Thesis Committee, Pet. Eng. Dept., KFUPM, Nov. 2006. Rami Al-Abdul Mohsin, Effect of Natural Fractures on the Pressure Transient Behavior of Multilayer Reservoir. Advisor, M.S. Thesis Committee, Pet. Eng. Dept., KFUPM, Defended. Mishal Al- Buraikn, Effect of Flow Rate History on Model Identifications and Parameter Estimation from Permenant Down- Hole Pressure and Rate Measurements. Advisor, M.S. Thesis Committee, Pet. Eng. Dept., KFUPM, Dec. 2011. Muhammad Yousuf Jabbar, Brine Chemistry in Carbonate Reservoirs: Their role in oil Recovery. MSc. Thesis, Advisor, M.S. Thesis Committee, Pet. Eng. Dept., KFUPM, Sep. 2012. Mohammed Attiia Elsayed, A New EOR Method for Sandstone Reservoirs Using High pH Chelating Agents. M.S. Thesis Committee, Co-Advisor, Pet. Eng. Dept., KFUPM, May, 2013. Kasha, A. Impact of Injection Water Chemistry on Zeta Potential of Carbonate Rocks, MSc. Thesis, Advisor, M.S. Thesis Committee, Pet. Eng. Dept., KFUPM. May 2014. Currently supervising 1 PhD dissertation and 3 MSc thesis. 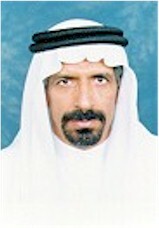 Abdul Aziz Al-Kaabi, "Simulation of the Effect of Natural Barriers on Oil Recovery," January 1985, KFUPM. Ahmet Kose, "Effect of Surfactant Concentration on Oil-Water Relative Permeability of Saudi Arabian Limestones," June 1987, KFUPM. Shakeel Ahmed, "Adsorption of Surfactants on Saudi Arabian Limestones," August 1987, KFUPM. Rafiqul Awal, "A Simultaneous Fully Implicit Finite Difference Method to Simulate Surfactant - Polymer Flooding, " January 1988, KFUPM. Ahmed A. Kandil, "Investigation of Production Performance of horizontal wells in fractured bottom water drive reservoirs", Member, PhD Thesis committee June, 1993, KFUPM. Ashiq Hussain, "Recovery Performance and Relative Permeabilities of Composite Cores," 1995, KFUPM. Ali Ahmed Al-Hajji, "Pressure Transient Behavior of a Well Intersected by Multiple Fractures," Dec. 1996, KFUPM. Urfan, Sami, “Investigation of Horizontal Well Performance Using Hele-Shaw Model,” Member, M.S. Thesis Committee, Pet. Eng. Dept., KFUPM, December 1998. Mohammad N. Khan, “Incorporating the Effects of Gas Slippage and Non-Darcy Flow In the Measurement of Permeability using Pressure Pulse-Decay Technique,” Member, M.S. Thesis Committee, Pet. Eng. Dept., KFUPM, June 2000. Saad Al-Mutairi, Cyclic Production Scheme to Improve Reservoir Performance, M.Sc. Thesis Committee, Pet. Eng. Dept., KFUPM, June 2008. Khalid Saeed Bajaalah, Determination of Matrix and Fracture Permeabilities in Whole Cores Using Pressure Pulse Decay,Member M.Sc. Thesis Committee, Pet. Eng. Dept., KFUPM June 2009. Khaled Zidan Abdulgawad Ibrahim, An Innovative Application of Chelating Agents for EOR in Carbonate Reservoirs. MSc. Thesis, Pet. Eng. Dept., KFUPM , Committee Member, May 2013. Zaeem Hassan Khan. Models of Fractional Diffusion in Radial Composite Reservoirs, , MSc. Thesis, Pet. Eng. Dept., KFUPM , Committee Member, Dec. 2013. Al-Namer, Ali Ahmed. Global Optimization Strategies for Well Test in Single and Dual Porosity Reservoirs, MSc. Thesis, M.S. Thesis Committee, Committee Member, Pet. Eng. Dept., KFUPM. May 2013. Ismael, Menhal, A Multi- Objective Well Placement Approach With NPV and Regional Pressure Balance, MSc. Thesis, Pet. Eng. Dept., KFUPM , Committee Member, Oct. 2014. Madhar Sahib Azad, Evaluation of Novel Viscoelastic system as Potential Chemical EOR Method in Carbonate Reservoirs., MSc. Thesis, Pet. Eng. Dept., KFUPM , Committee Member, Dec. 2014. Rami Aloush, NUMERICAL MODELING OF TURBULENT GAS FLOW IN POROUS MEDIA: A FRACTIONAL DIFFUSION APPROACH. MSc. Thesis, Petroleum Engineering Department, KFUPM, Committee Member, May 2015.